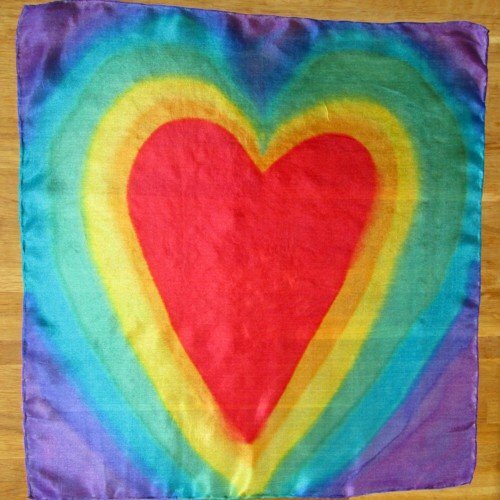 Chakra silk scarf rainbow hand painted. 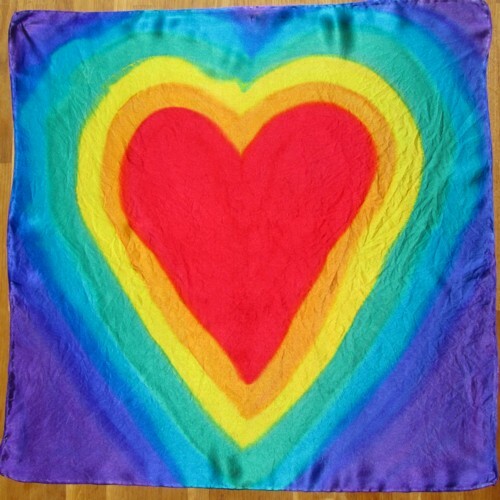 I use the seven main chakra colours to paint these vibrant scarves. 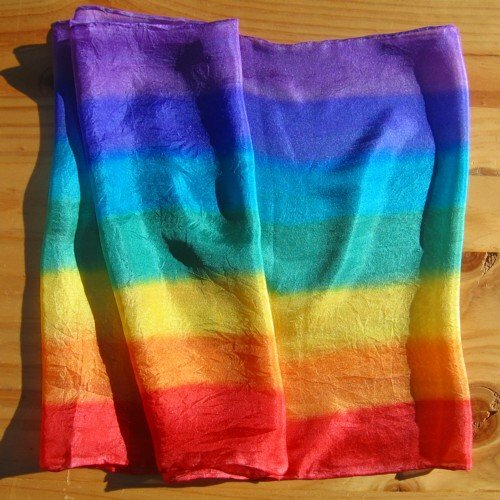 Because I use a lightweight, slightly shiny silk, your silk scarf has a super soft feel. While many clients enjoy wearing them, they equally make a great gift. 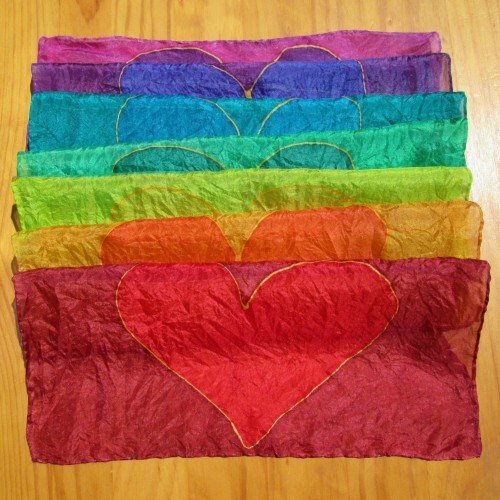 Furthermore, use in chakra healing, chakra meditation, colour, crystal, hot stone, holistic healing, beauty therapies and treatments. Also, they look great displayed in your treatment room. Another idea is to lay it on the therapy couch for your client to see. As a result, it’s a great visual. 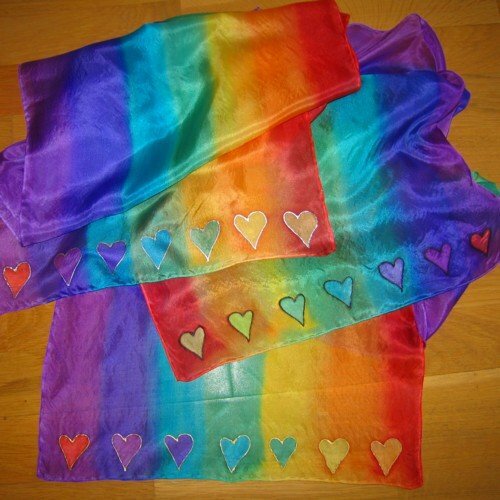 Each “chakra silk scarf rainbow hand painted” measures approximately 110×28 cm/43×11 inches.